A local woman was also honored with a pastry trophy. 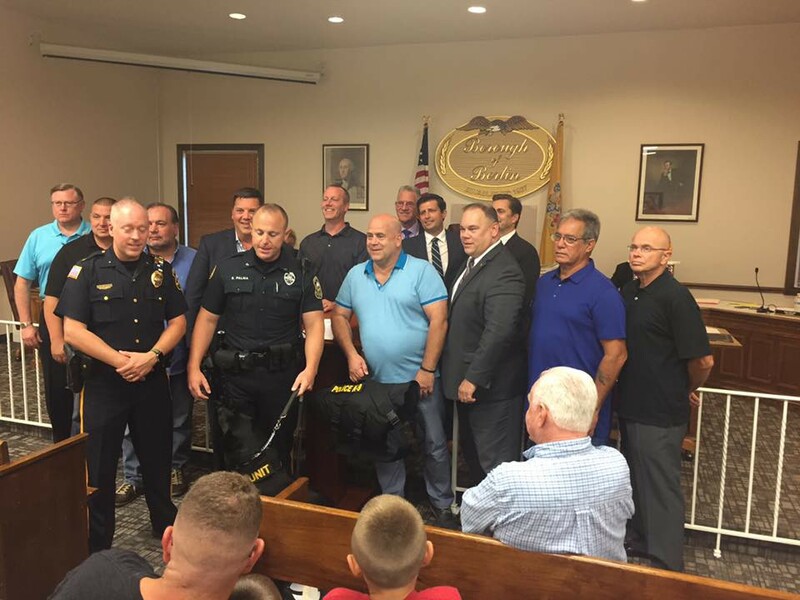 Last Thursday, Aug 17, at the Berlin Borough Council meeting, officers K-9 Radko and Ptl. Palma were presented with a ballistic vest generously donated by the Berlin Rotary Club. The evening also honored Carmella Merlino, who was praised with the “Best Pie” trophy by Ptl. Wolf, which was judged during the department’s 2017 National Night Out.